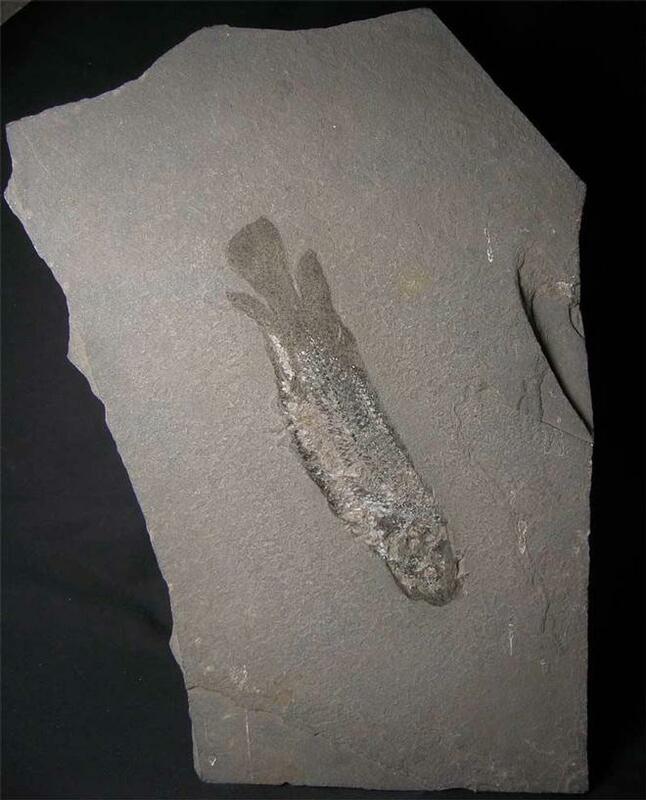 This specimen was collected over 50 years ago from this classic, world famous location. 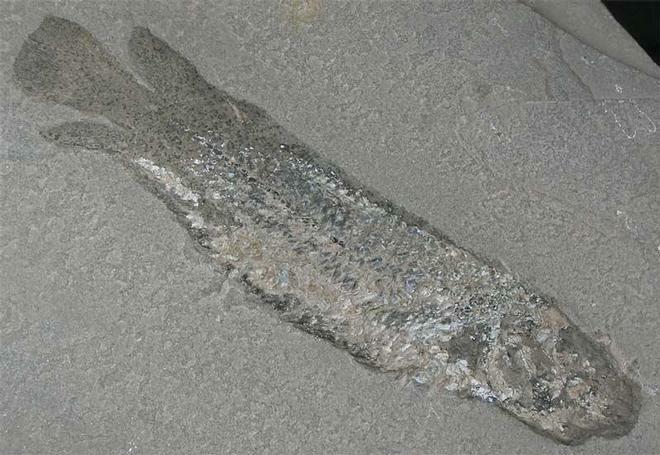 The fish has been excellently preserved on a lovely piece of hard marl shale. 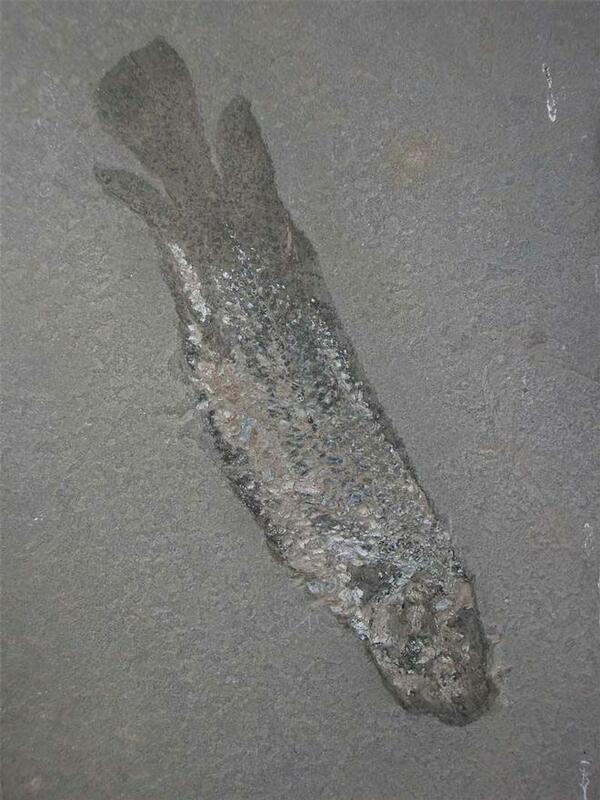 The definition throughout the specimen is exceptional especially the lung fish's 'lobes'. This is a fine specimen and would grace any collection.